Mini bite-sized brownies topped with finelychopped nuts. Heat oven to 350°F (175°C). Linesmall muffin cups with paper baking cups. Stir together butter, sugar and vanillain medium bowl. Add eggs; beat well with spoon. 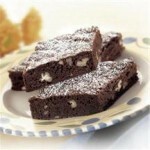 Stir together flour, cocoa, baking powderand salt; gradually add to butter mixture, beating with spoonuntil well blended. Fill muffin cups 1/2 full with batter;sprinkle nuts over top. Bake 12 to 15 minutes or until woodenpick inserted in center comes out clean. Cool slightly; removebrownies from pan to wire rack. Cool completely. 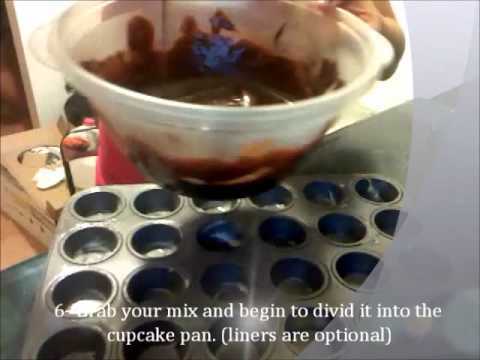 If the Mini Brownie Cups recipe was useful and interesting, you can share it with your friends or leave a comment. I’ve got a great brownie recipe that works awesome in a 11 pan. The top comes out crunchy, the bottom cake like and the middle nice and fudgy. I figured I would try to make them in a mini-muffin tin, thinking it would be easier for the kids to eat. Ended up with a mini disaster. Is there something i should consider doing specifically to the recipe? 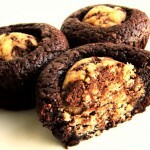 Is there a way to make good fudgy brownies in a mini-muffin tin, or am I just looking for trouble? Cupcake liners work! I usually don t when making mini brownies, though. No rhyme or reason. You can use them if you d like. Stephanie how have I never caught that before? The 11 7 pan I included in that step is not needed. A typo on my end! Love the rocky road situation on top sounds perfect.